Manicure isn't just for nails and if you love your marbled nails, then you'll adore these easy mani-eggs! 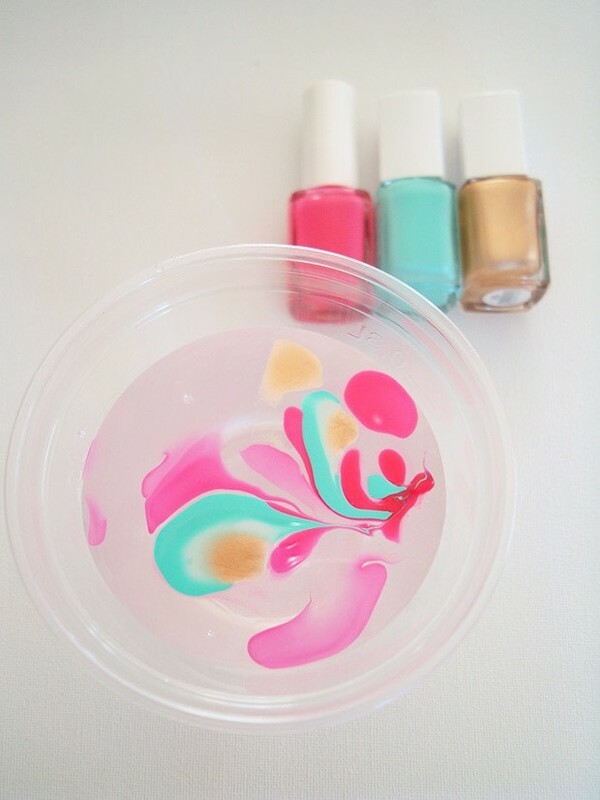 Just like a marbled nail manicure, fill a plastic cup with water and add some drops of your favorite nail polish colors. Use a toothpick to create swirls. 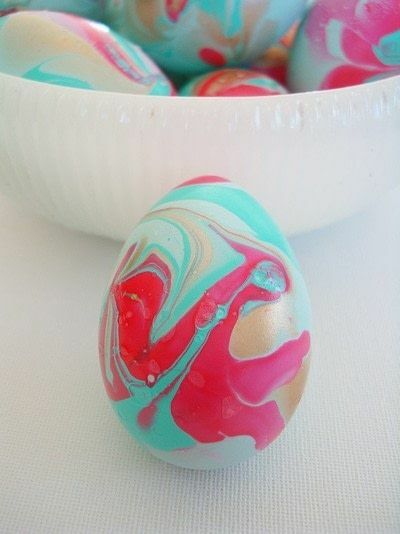 Dip the plastic egg in the water and move it around so as for the nail polish to adhere to its surface. Place freshly painted egg on a egg carton to dry. and vice versa. It's totally up to you and how you prefer them. 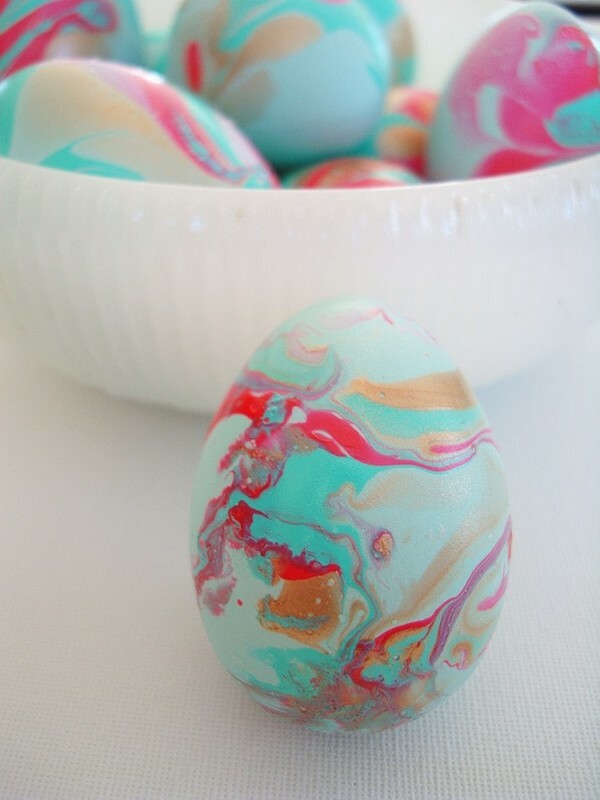 And if you use already colored eggs, like I did, the result is quite beautiful. 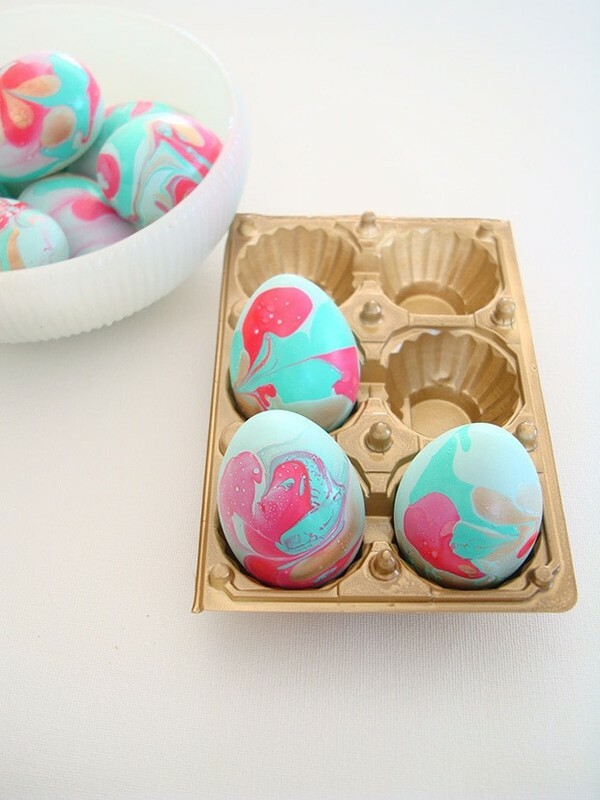 By the way, that's not a gold egg carton, just a plastic one, spray painted gold! What do you think? 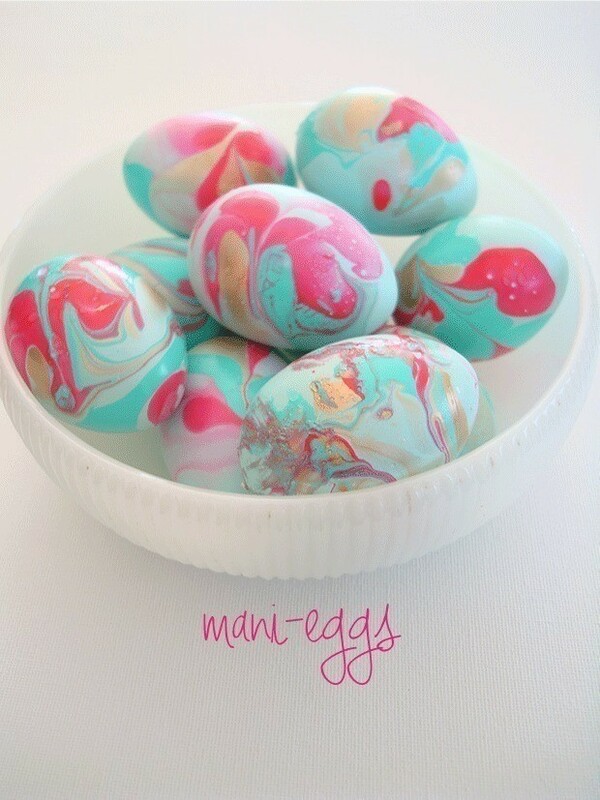 Will you marble some eggs or keep the mani to your nails?